Pack a picnic lunch to save money and make the most of your time at the beach. Get to the beach early to reserve your choice of cabana; they charge by the day, regardless of the duration you are there. The beach is public; to save money, bring your own chairs and tent. 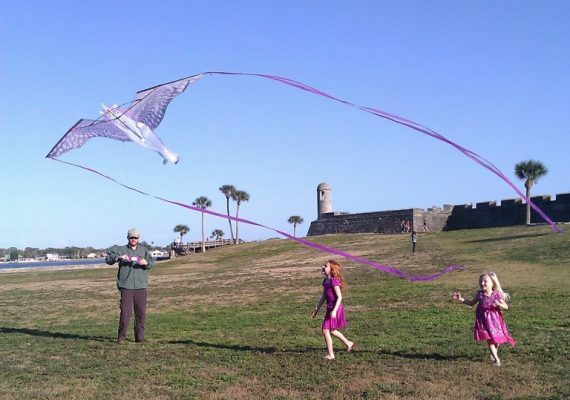 This is the perfect family beach day. 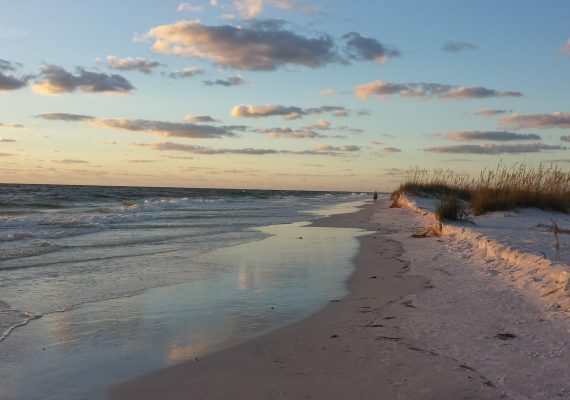 Play in the sand and gentle, shallow waters of Clearwater Beach. Rent a cabana so you have a relaxing, shaded place to get away from the sun. For even more ocean adventure, board the pirate ship if the sea calls out to you. Once your kids had enough of the sand, walk to Pier 60 for the playground and a variety of family-friendly entertainment options along the way. Cap off this perfect beach day by watching the sunset along the beach. 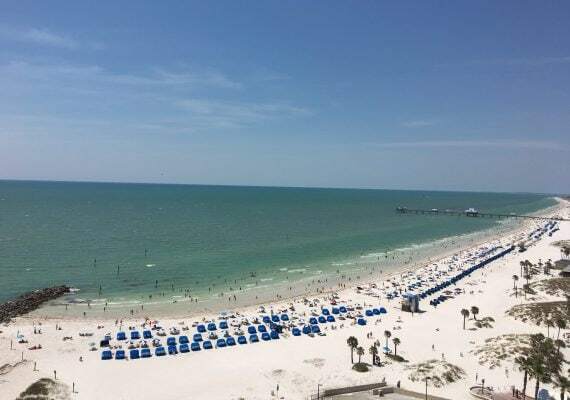 Clearwater Beach is the perfect family beach. The crowds are manageable and everything you need is within walking distance. The length of the beach also makes it feel less crowded. The sand is fine and the water is shallow, making the ocean swimmable for small children. Keep a look out for the pirate ship! Our nuggets loved to watch the pirate ship sail out into the ocean and shoot off its cannon as they played on the beach. Walking to the pier provides lots of entertainment and a great playground. Pier 60 has activities for all ages, all day. A great covered playground has an area for both older and younger kids. There are plenty of family-friendly restaurant options within walking distance, too. Street performers, live music and craft sales fill the area each night, making it the perfect place to stroll around before catching the sunset. DIRECTIONS The pier is in the middle of the beach stretch. To get there, just walk the paved walkways along the beach, they will lead you to the pier. TIP The playground area is very busy. Keep an extra close eye on your kids as they play. WE LOVEDIt is a great resort for families. The pool is amazing for kids. It’s a zero-depth-entry pool with water fountains. From the pool, it is a short walk down to the beach, so you can do both the beach and pool throughout the day. Also, all the rooms at the resort overlook the beach. WE DIDN'T LIKEIt only has one restaurant, which doesn't offer many options for kids.